Planning a cruise in South Florida? Don't leave any stone unturned. Here are the top 5 places to see when cruising South Florida. Cruising South Florida soon? Need help deciding what to do while you’re in port? The Fort Lauderdale port and PortMiami are among some of the most visited by cruisegoers. 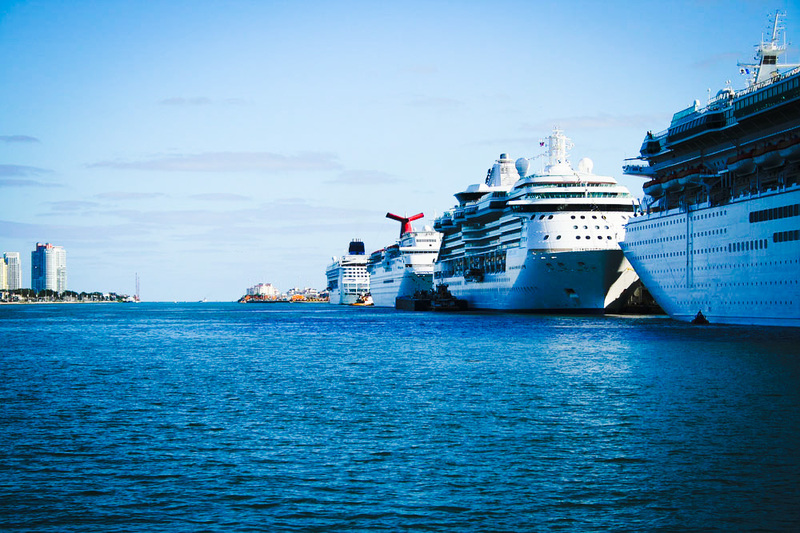 Many cruises depart from the South Florida area and many more stop by from around the world. 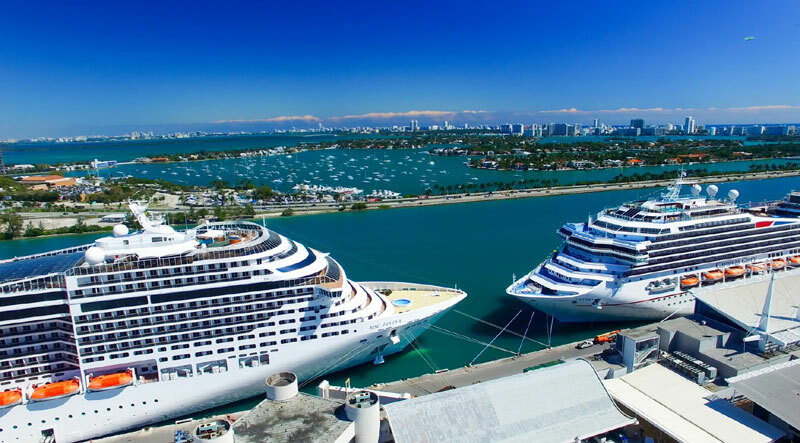 PortMiami is even known by many as the “Cruise Capital of the World” and the port is the global headquarters of several major cruise lines. Whether you’re looking to spend a few days looking around South Florida before a cruise or whether you’re spending a day in port, there are some amazing ways to spend your time. Below are the top 5 places you must visit when cruising South Florida. South Beach, also known as SoBe, is Miami’s most vibrant hot spot that is filled with culture. The neighborhood is filled with amazing sounds, sights, smells. There are always plenty of interesting (and beautiful) people to meet or watch while you’re lounging in the sand. Many of the major hotels are located in the neighborhood, so there’s always a large tourist population exploring the area. However, South Beach is also popular among locals. The ocean and sand are great for a quick dip or working on your tan. Besides the excellent beach, there are some great shops and restaurants to check out. You can also check out the exceptional Art Deco architecture in the area. While South Beach is a great spot to sunbathe and “people watch” during the daytime hours, the area is also an unbeatable nighttime spot. If you’re looking for a place to party while in port, South Beach is an active spot full of amazing bars and clubs that are great for dancing and enjoying a delicious cocktail. However, it can be overwhelming for some. If you’re looking for a more laidback beach to hang out on you may want to look northward. Head up to Fort Lauderdale Beach instead if you’re looking for something calmer. There are some great intercoastal waterways located in Fort Lauderdale, the “Venice of America”. The city is located just north of Miami, and the city’s port also sees a lot of cruisegoers every year. The canals located in Fort Lauderdale are even more extensive than those of Venice. Fort Lauderdale features 165 miles of waterway compared to Venice’s 26 miles. There are plenty of water taxis located along the waterway so you can easily get a ride and explore the rivers of the city. Taxis pick up every 30 minutes all along the route in the city, so you can easily hop on or hop off. You can relax and sit back as you watch the river and simply enjoy the sights or the area. You can also explore the varied attractions and hotspots such as the Fort Lauderdale Beach, the Riverwalk, or Las Olas. One of the attractions located along the Intercoastal Waterways, Las Olas is an excellent area to visit if you’re cruising South Florida. There are plenty of destinations for shopping and dining experiences in Las Olas. In the are you’ll find bars, nightclubs, boutiques, art galleries, restaurants, and more. You can also enjoy your time strolling down the boulevard and ducking into the many sub-tropical breezeways in the area. You can check out the NSU Museum of Art which hosts over 6,000 art pieces which are about the South Florida culture and its diverse people. You can also check out the Stranahan House, a historic home that is the oldest home in Fort Lauderdale. You may choose to visit some of the high-end boutiques in Las Olas, swing by a local art gallery, and afterward have an amazing casual dinner at a popular local spot such as the Mangos Restaurant and Lounge or The Royal Pig. It’s hard to talk about South Florida without mentioning the extensive subtropical wilderness of the Everglades National Park. If you’re cruising South Florida it would be foolish not to take a visit to the Everglades. The park is one of the most popular National Parks in the country and is unlike any other place in the United States. The park features over 1.5 million acres and is the protected home of many different types of wildlife and plant life. You can see many species of birds and fish in the Everglades or even catch sight of one the deadly alligators that Florida is well known for. You can explore the area on your own by hiking, kayaking, or by riding your bike on the many trails and areas in the park. You may also want to take a guided tour or hire an airboat to show you around instead. Another hotspot of Miami, Little Havana is a neighborhood that is famous for its collection of Cuban culture. The neighborhood is a center for amazing dining and shopping experiences and offers a unique cultural experience that can only be found in Miami. You’ll have an amazing time enjoying the authentic Cuban music, drinks, and cuisine while in Little Havana. You can also try salsa dancing at Hoy Como Ayer or the Ball & Chain. There are also other sights to see in Little Havana. You may also want to visit the Freedom Tower, an octagonal tower that is an engineering and architectural marvel. You can also visit the home of Miami’s popular Major League Baseball team, the Florida Marlins and stop in to watch a game. Although it’s a popular departure point for many cruise lines and cruises, South Florida is an amazing destination all to itself. From its amazing culture and dining experiences of Miami and Fort Lauderdale to the diverse southern Florida wildlife, cruising South Florida can be a lot of fun. With so many cool things to see, don’t stay onboard while your ship is in port in South Florida. You may just miss out on some incredible experiences. Looking for an excellent price on your next cruise? Check out our Cruise Deal page. Here are all the fun things to do in Key West, Florida as it's such a popular cruise ship port of call located at the southernmost end of the U.S. There are many things to do in Bermuda during a cruise, we've got the best which you should consider including Horseshoe Bay, beaches and shore excursions. Want to book a great cruise for your next destination? Check out the best cruise destinations and the most popular cruise destinations.